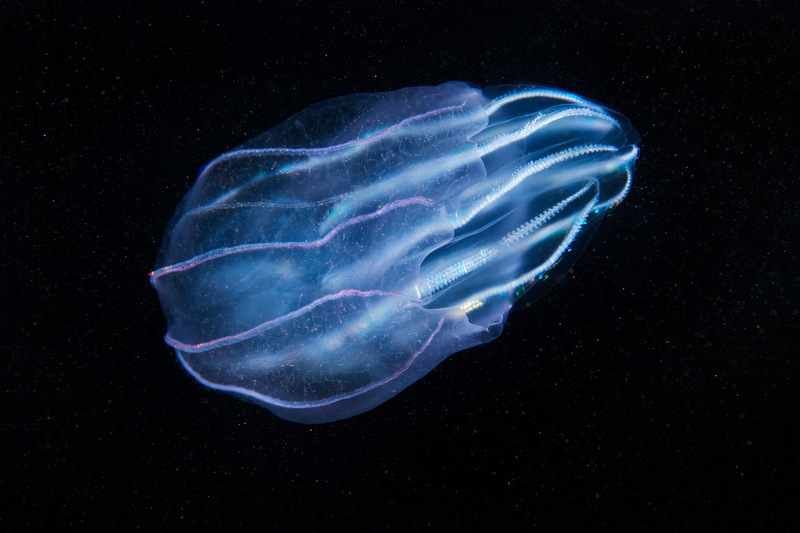 Ctenophores, or comb jellies, are a large group of planktonic animals classified in a separate phylum. 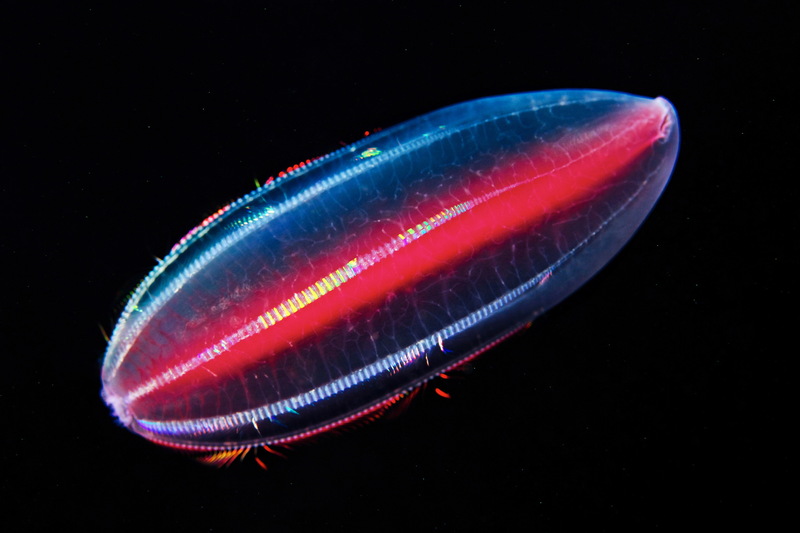 All ctenophores have one thing in common – eight rows of swimming combs which line the sides of their bodies. These combs are formed by lash-like cilia sticking together. 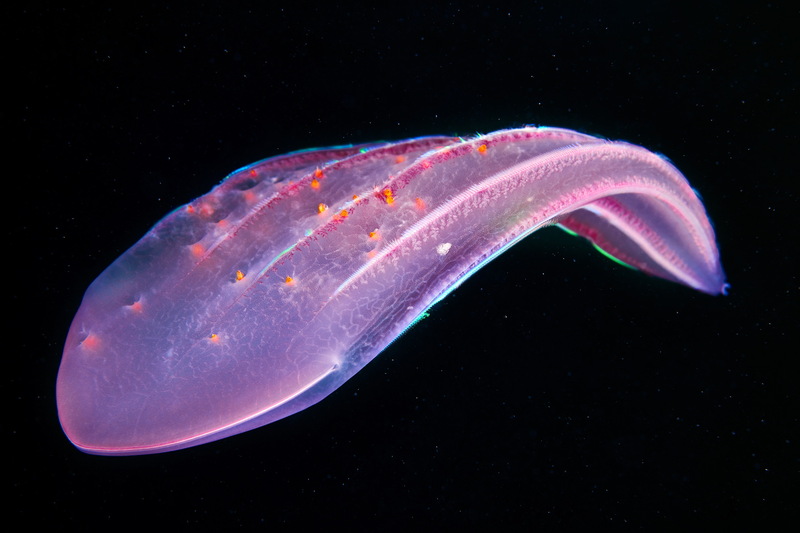 They beat in beautiful synchronization to create a wave along the ctenophore’s body and push it forward through the water like little ores. 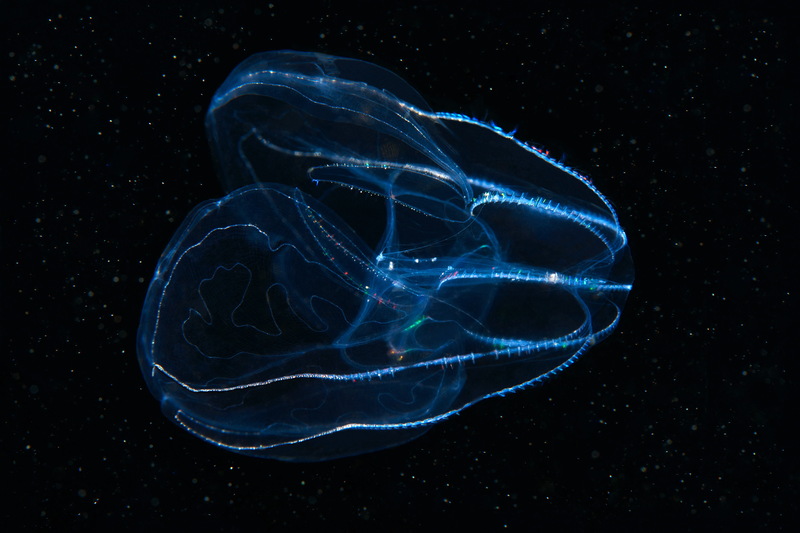 Ctenophores are the largest animals that use cilia to move. 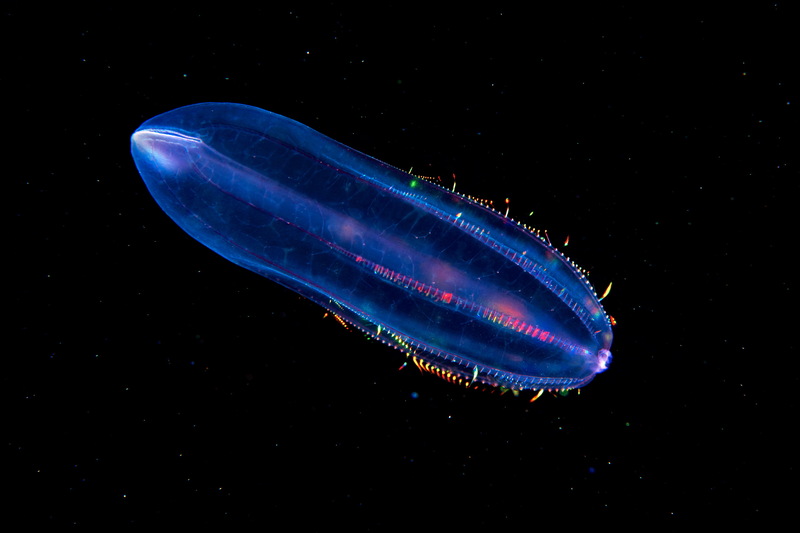 One comb jelly called the Venus girdle (Cestum veneris), may even reach a length of 3 meters! 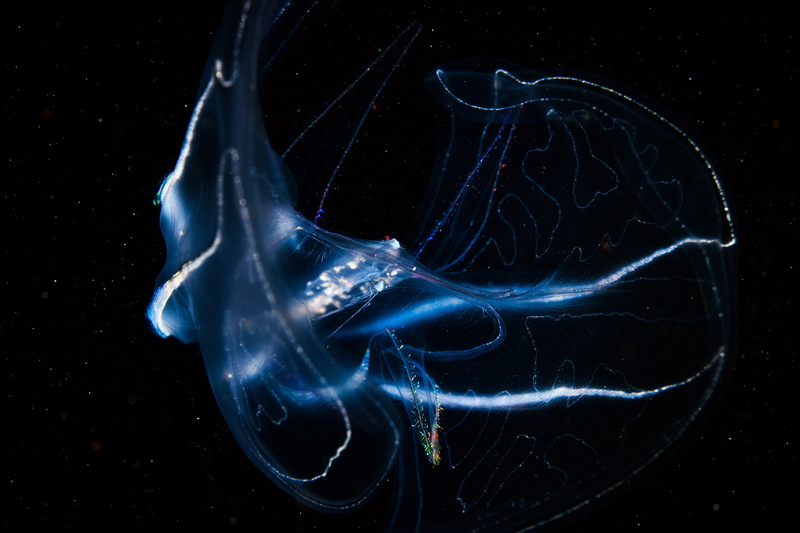 All ctenophores are predators and feed on zooplankton of all shapes and sizes. 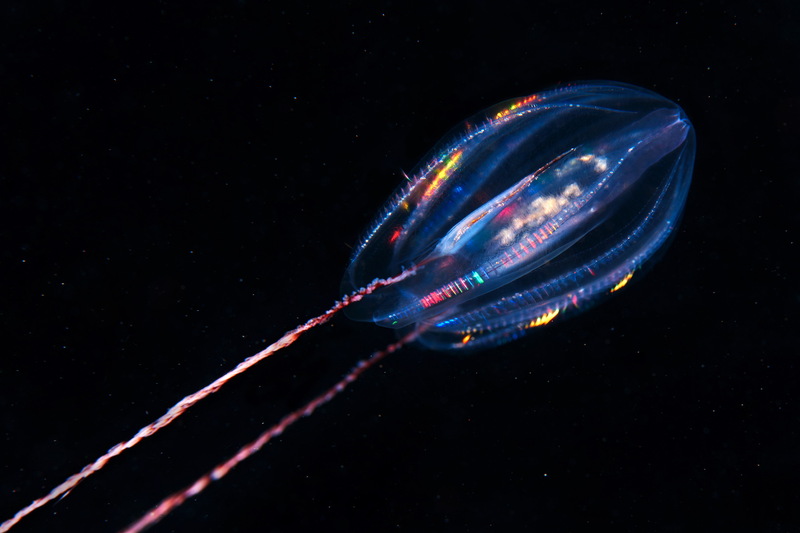 They can eat planktonic larvae and small crustaceans, as well as small jellyfish and even other comb jellies. 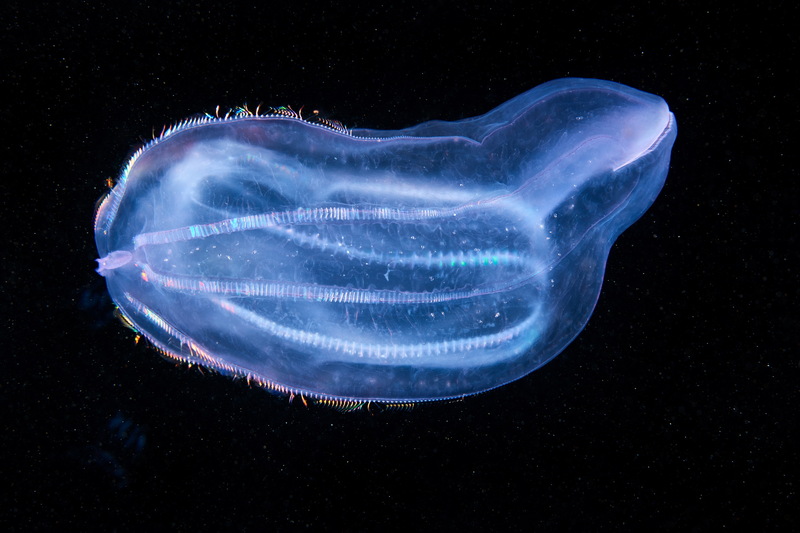 Different species of ctenophores eat in completely different ways; some have a huge mouth with ciliated teeth, some have sticky tentacles, and some have ladle-like oral lobes that they use to pull in prey. 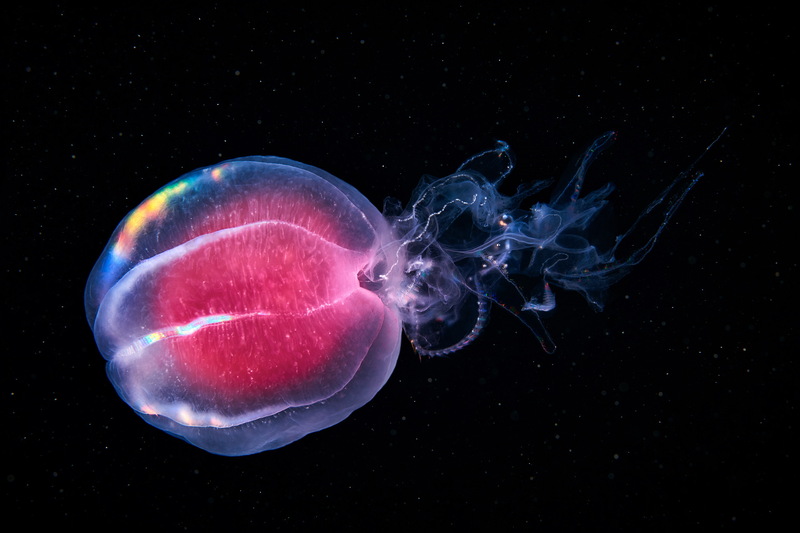 Ctenophores are believed to be very ancient creatures. Their taxonomic position is still the subject of fervent debate among scientists. 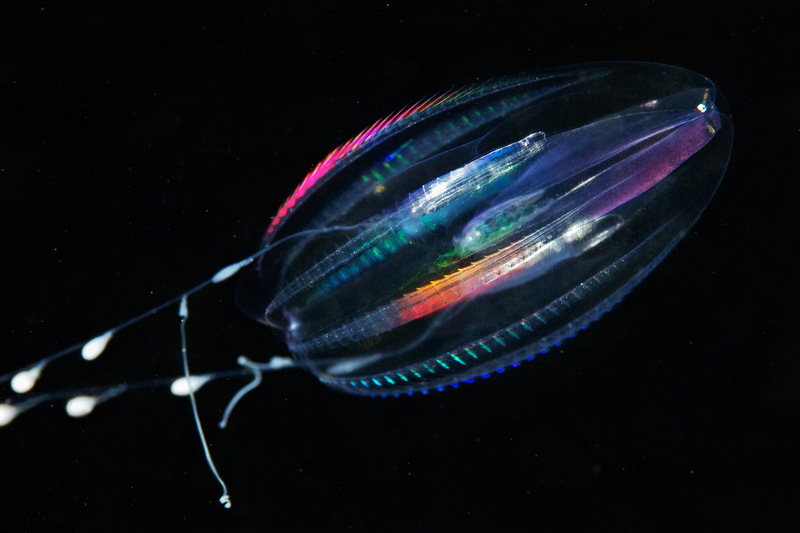 Since ctenophores’ bodies are made of soft tissues, they leave practically no fossils behind. 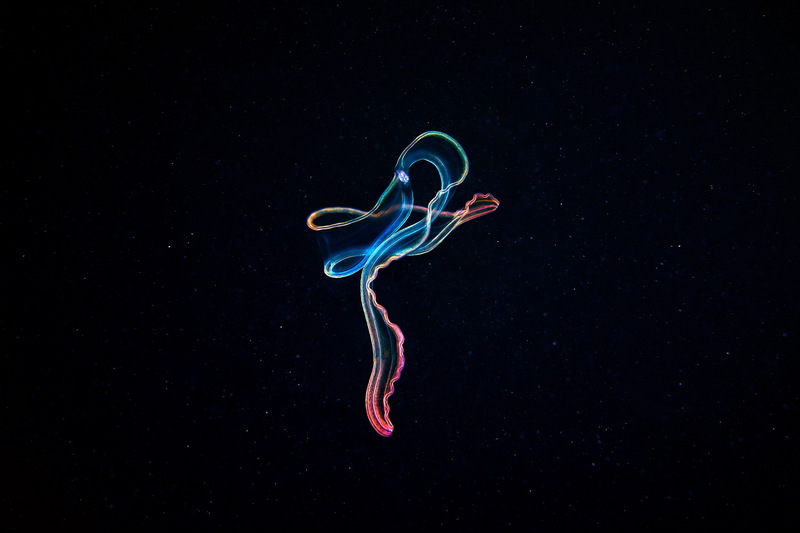 Scientists have found fossilized impressions that look like ctenophores, but despite an overall similarity, the anatomical structure of the potential ancestors is quite different to that of the modern ctenophore. 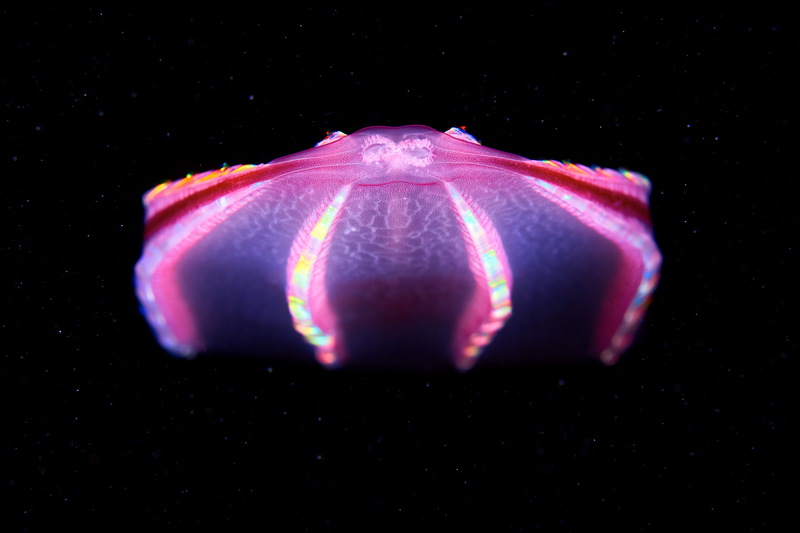 Understanding their evolutionary place could give us the answers to many questions about the origins of multicellular organisms.